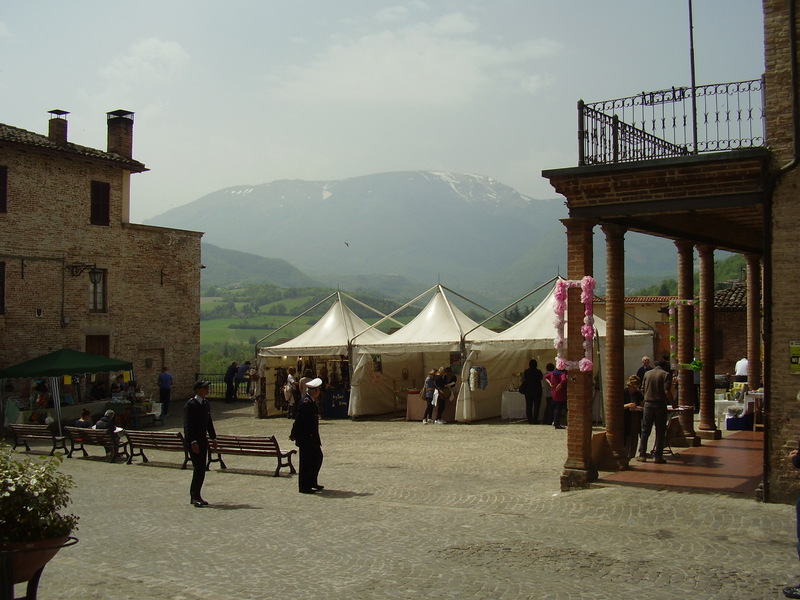 Discover the fabulous food of Le Marche, Italy. An innovative new 6-part video series. Steve, you’ve completely missed the point…. I’ve looked all over the Cookucina site and NOWHERE could I find clickable links to either A Recipe for Disaster or the complete Cookucina TV series – how on earth are people supposed to find them!? So, here we go, there are a couple of clickable links in the paragraphs above (at least I hope so – Damien will tell me if I’m wrong), and I’ll have a go at making a Tab in the site with all the links. And here’s a sneak preview of the cover! I hope to have the print version available to buy fairly soon through Amazon.com (or .co.uk or most other Amazons). I’ve seen a proof copy and it looks really good. Best bit, though, is that every time I have to read through it to check for new typos etc. it still makes me laugh out loud occasionally. Can’t be bad! …where, if you’re quick, you’ll find A RECIPE FOR DISASTER at the top of the page (because it’s just gone “live”). Smashwords is the mechanism I am using to get it on to all these platforms, and you’ll be able to search for it there, but I have a little bit of refinement still to do to get it on to iBooks. Only a matter of days I hope. More Good News! There’s now even The Book of The Series! The whole business of trying to film COOKUCINA with no money at all turned out to be so daft it was funny. 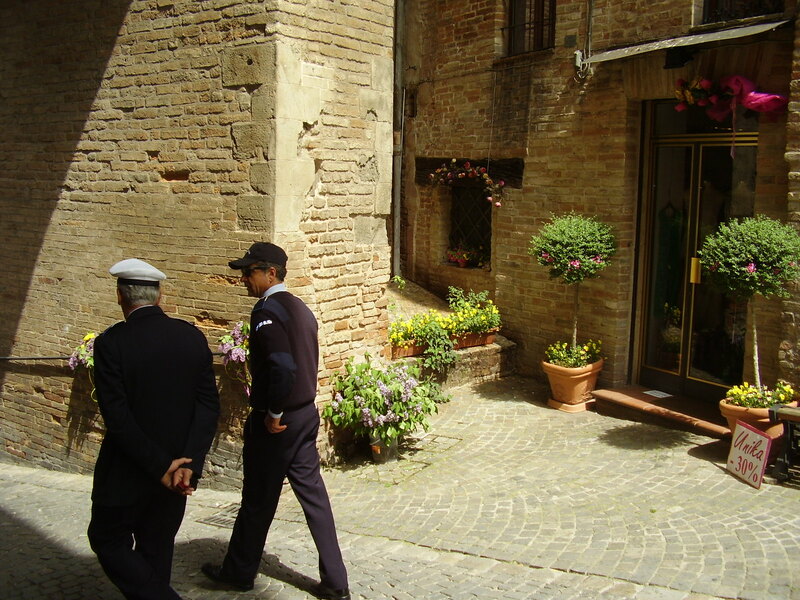 It also meant we were thrown in at the deep end of rural Italian society here in Le Marche. So I decided to write a book about it. It’s called A RECIPE FOR DISASTER, and it’s full of the stories behind the filming, as well as some insights on what it’s like being an Englishman abroad in Italy, and on Italy and Italians themselves. I hope it will make you laugh, and if you would like to invest a few hard-earned dollars in both the series and the book (Kindle only at the moment, so very cheap!) you can see for yourselves how our individual adventures during filming actually turned out. And, of course, you’ll be picking up some wonderful Italian recipes along the way! We hope you enjoy it. And if you do, please leave a Review, it’s the best way to help others who might enjoy it to find the series. Thank you. May 1st is coming soon. A Labour Day holiday in Italy. 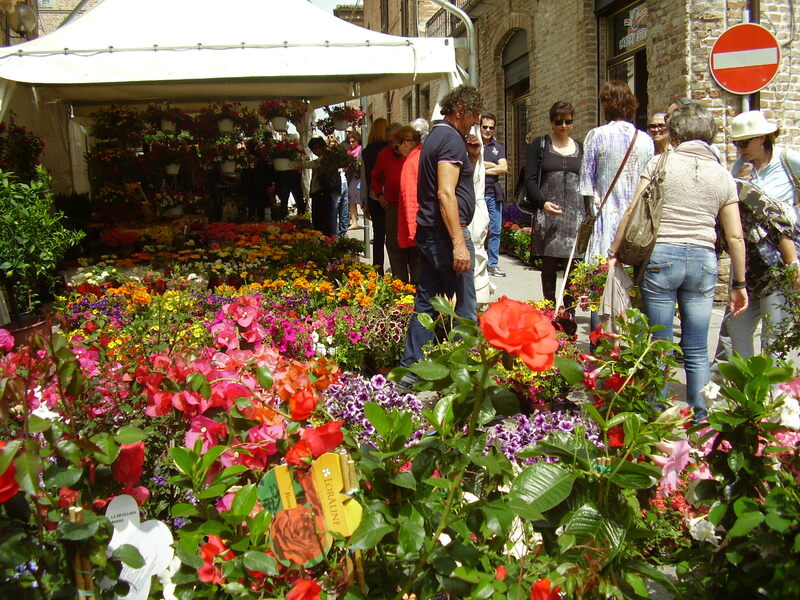 And we’re hoping it will be Festa dei Fiori here as it always used to be before the earthquakes. Flowers everywhere and Sarnano looking stunning. But the weather here is wildly unpredictable at this time of year. A couple of years back there was a sudden hailstorm of biblical proportions, and all was washed out. Thunder, lightning and hailstones like little marbles. Then the following day it was 25 degrees again. That’s spring in Le Marche for you. The flower police on patrol!